January 30, 2017 - Over the weekend, American Airlines was notified that per a Presidential Executive Order, nationals of seven countries; Iran, Iraq, Sudan, Somalia, Syria, Yemen and Libya will be prohibited from entering the United States for at least 90 days. 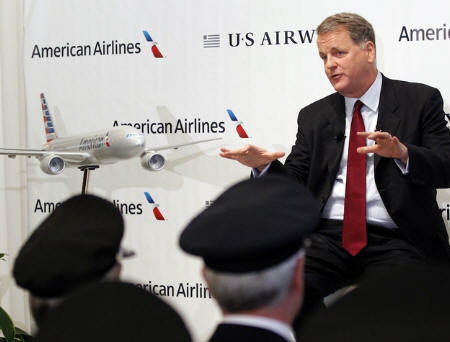 Doug Parker, chief executive officer of American Airlines Group Inc sent out a letter to its employees which stated, “As a global airline, we recognize that these orders place difficult operating conditions on some of our team members. Colleagues across the country have been working closely with government officials to interpret and apply the order. "Crews, Reservations agents and airport teams have witnessed turmoil in our airports that shows how divisive this order can be. However, it is the current law of the U.S., and so long as that is the case, we must comply. We are doing everything we can to care for any affected customers and team members and treat them with the utmost respect. “As a global employer, however, this Executive Order does not affect the values that this company is built upon — those of diversity, inclusiveness and tolerance. At a time when the world is watching, our industry affords us a unique opportunity to show firsthand what true compassion and kindness look like. Treating each other with respect and dignity does not belong to a political party and transcends any law. “Be it with your colleagues or customers, please continue to work with the same open-mindedness, mutual respect and appreciation of diversity that defines and always will define American Airlines. In a press release to its members, International Air Transport Association Statement on the US Executive Order on Travel - “The International Air Transport Association (IATA) works with its 265 member airlines for safe, secure, efficient and sustainable global air transport links. As a matter of principle we work for the free movement of trade and people across borders. “IATA also recognizes that states have the right and duty to protect their citizens by enforcing their borders. Where this has implications for air travel, we work with our member airlines to help them comply with these requirements efficiently and effectively. Global systems and procedures exist to support this activity. IATA’s Timatic online solution, for example, is a global database for travel document requirements. It is updated constantly and used by airlines and travel agents around the world. “These systems can only support the efficient implementation of any government’s directives by the global air transport industry with advance coordination as well as with detailed and consistent operational information. Entry requirements for the United States were changed significantly and immediately by an Executive Order (EO) issued 27 January 2017. The EO was issued without prior coordination or warning, causing confusion among both airlines and travelers. It also placed additional burdens on airlines to comply with unclear requirements, to bear implementation costs and to face potential penalties for non-compliance. We ask for early clarity from the US administration on the current situation. Moreover, we urge all governments to provide sufficient advance coordination of changes in entry requirements so that travelers can clearly understand them and airlines can efficiently implement them”.